Think it's cold in Chicago? You've probably never wintered in Nunavut, Canada's northernmost territory. 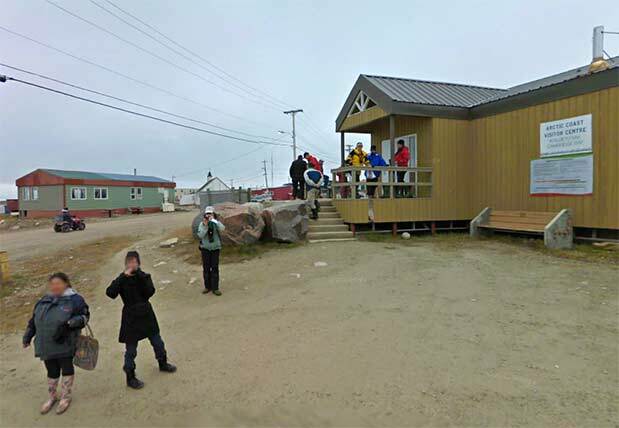 This past August (long before the temperature in Cambridge Bay hit negative double digits), Google explorers ventured above the Arctic circle to bring the mapping giant's Street View tech to the village of 1,500, complete with a walk down Omingmak Street and a peek around the Youth Recreation Complex (which, fittingly, houses an ice hockey rink). You can even stroll past Our Lady of the Arctic Catholic Church or toss a few darts at Ikaluktutiak Elks Lodge No. 593. So, what are you still doing hanging around here? Hit up our source link below to grab your lil' slice of ice before the thermometer hits 0 this spring.